I prefer the darkness. It makes it harder for me to look around and see just how alone I really am. ~Some Google Guru, originally uploaded by SwappyIT. 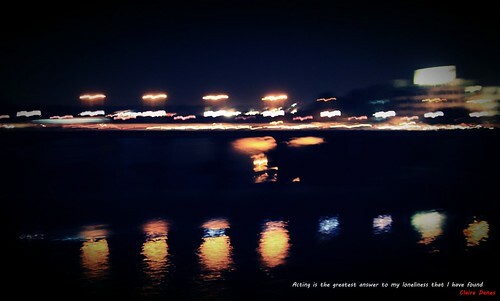 Shot From Deccan Queen, Entering Pune, Loved the blurred out bridge and traffic, and sharp Reflection of water.